This Mekko chart displays per capita food supply (kcal/capita/day) in 2013. 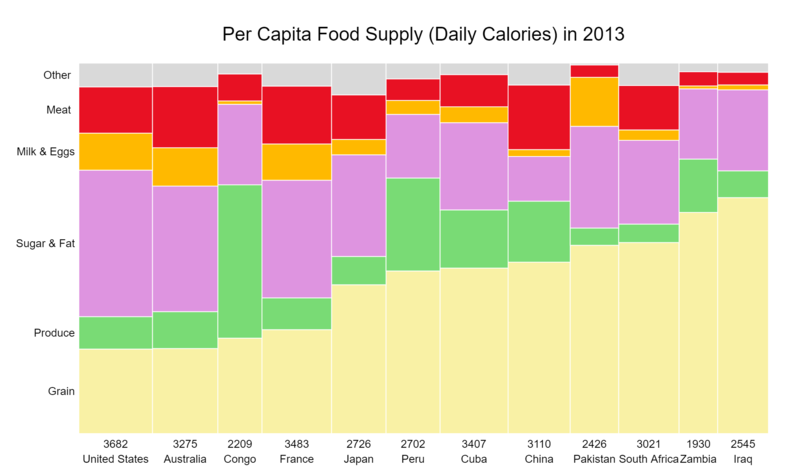 Each column represents a country, where the width indicates the total calories. Each column displays the composition of the total calories. The countries are ordered by the percentage of grain. Data is collected from FAOSTAT’s “Food Balance Sheets”.